A full excursion program set – up in all major languages, consisting of excursions for all interests, adjusted to the features of every market. Excursions, boat trips and daily cruises are guided by skilled and experienced guides and aim to cover every aspect of interest in each region. 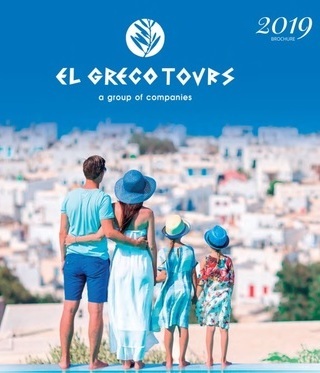 Apart from the “classical” excursions based on history and natural beauty of the country, “EL Greco Tours” offers its clients the opportunity to discover the samples of the ethnic and tradition inheritance of Greece. Unrivaled knowledge of all the principal venues and a great deal of expertise in the necessary procedures which enable us to handle with care all matters connected to a conference organization. Interactive excursions allow clients to participate in local cooking,wine & olive-oil producing and tasting, pottery manufacturing, bread baking, folklore dancing, donkey rides and much more.